Autism – you see it on the news; hear about it from advocacy campaigns like Autism Speaks ; you may know someone whose life is affected by someone with the diagnosis. Undoubtedly, there are students with autism in your local public schools. 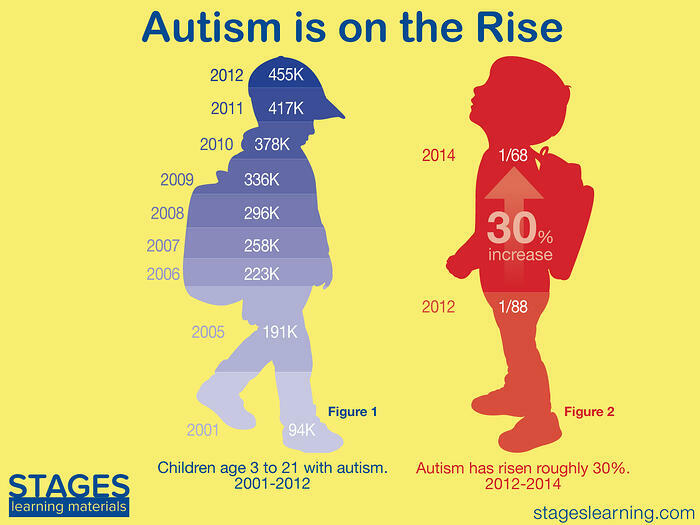 Simply put, autism is more prevalent than ever, and it is on the rise. In 2014, the Centers for Disease Control (CDC) estimated  that 1 in 68 children is identified with autism spectrum disorders (ASD), up from the 2012 estimate of 1 in 88 (Figure 2 - red). That’s nearly a 30% increase  in children being diagnosed with ASD in the last 2 years alone. As would be expected with an overall rise in ASD diagnoses, the number of students served under the Individuals with Disabilities Education Act (IDEA) has also increased. The National Center for Education Statistics  states that in 2001 there were approximately 94,000 students with ASD served under IDEA. That number had more than doubled by 2005, and doubled again by 2010. As of 2012, there were 455,000 students with ASD receiving special education and related services under IDEA (Figure 1 - blue). While the statistics clearly show both an increase in autism spectrum disorder diagnoses and a need for special education services by many of these children, scientists, doctors, teachers, and parents alike are struggling to find a cause for this dramatic rise in autism. A study published in 1998 by Dr. Andrew Wakefield in the UK medical journal The Lancet claimed that there was a causal link between autism and the vaccine against measles, mumps, and rubella (MMR). However, other researchers were unable to reproduce the results of that study, and it was eventually determined that the data used was fraudulent, leading Wakefield’s study to be retracted and his medical license to be revoked . Now, despite evidence from the CDC showing there is no causal link  between autism and vaccines, parents continue to be wary about vaccinating their babies. But if exposure to vaccines doesn’t cause autism, then what does? It is likely that there are both genetic and environmental components  related to the cause of autism. Studies on twins with autism and siblings of children with autism spectrum disorder indicate that there is a genetic origin  for autism. However, it has been difficult for scientists to pinpoint exactly which genes increase the likelihood of having autism spectrum disorders, let alone if altering those genes would actually stop the symptoms of autism from appearing. Similarly, environmental factors  such as parental age at time of conception or prenatal exposure to air pollution are also thought to increase the risk of autism. However, these factors in and of themselves likely won’t cause autism. It is more likely the interaction of a genetic predisposition and exposure to certain environmental factors that lead to ASD. Many researchers also suggest that the increase in autism spectrum disorder diagnoses is largely due to a broader definition of autism  and better efforts in making an early diagnosis. Because autism has been so widely discussed in the media as of late, many parents are more aware of the early indicators of ASD  and are reaching out to pediatricians and doctors sooner, in hopes that early intervention strategies will remediate some of their child’s difficulties. These factors have made it difficult for researchers to determine if the number of people with ASD has remained consistent over time and only now are more of them receiving an actual diagnosis, or if the actual number of people with ASD is on the rise. People with autism vary greatly in their abilities and skills so it is inaccurate and unfair to describe children with autism spectrum disorder as presenting with identical characteristics. Rather, people with ASD display symptoms in various combinations and degrees, including problems with both verbal and nonverbal communication, difficulties in social interaction, deficits in self-help skills, and behavioral challenges such as repetitive motor movements, a rigidity with schedules and routines, tantrums, and outbursts. (DSM–IV–TR, 2000, 4th ed., text rev). For families and caretakers, a child with autism can completely change family dynamics and impact how family members relate to one another as well as how they interact with friends, the public, and their community. For schools and educators, students with autism can be overwhelming due to their great need for academic and social supports. Teachers of students with autism spectrum disorder may find it challenging to teach basic academic and social skills due mainly to their students’ difficulties with acquiring and/or using language. Because of this, many teachers spend valuable time and energy creating their own teaching materials to meet the unique learning needs of their students. This is where Stages Learning Materials can help! 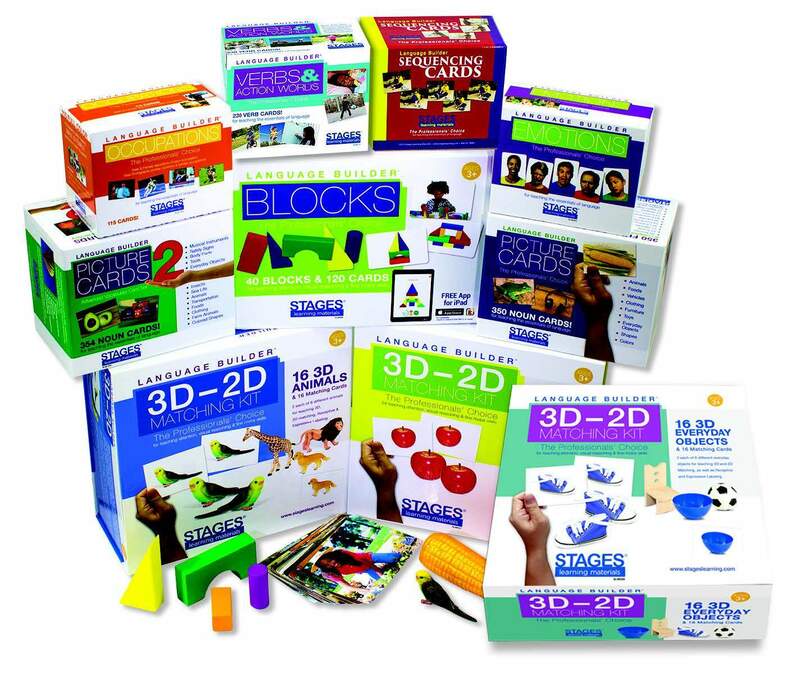 Stages Learning Materials offers a wide range of real-photo products to teach key language concepts to students with autism and other disabilities. From flash cards, memory and bingo games, to puzzles, software, and a language builder app, Stages Learning Materials educational products provides teachers, as well as speech language pathologists, occupational therapists, and parents, with valuable tools that can be used to supplement and enhance any language-development curriculum. As autism rates continue to rise, it is only logical that more students will be enrolled in local public schools. 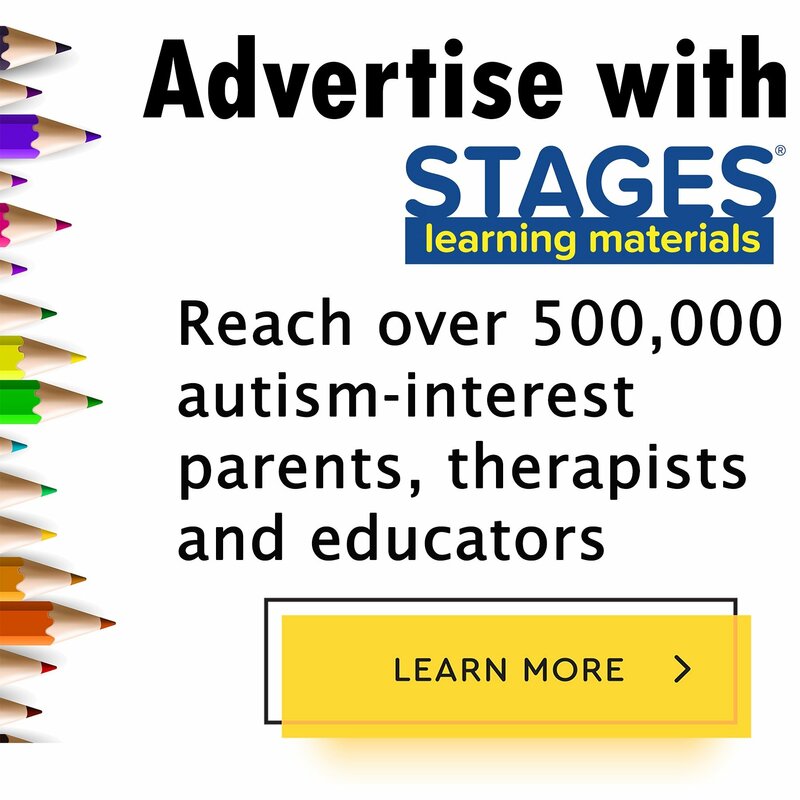 Using products from Stages Learning Materials allows teachers, clinicians, and parents to spend more time working directly with children with autism, and less time creating materials to use in their instruction.